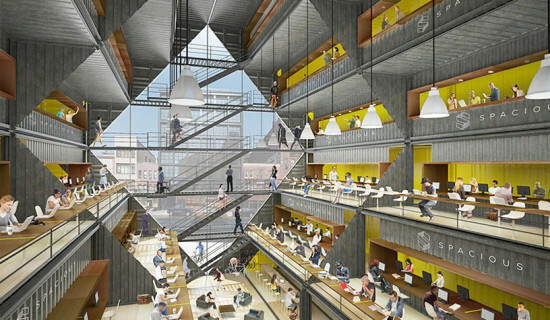 New York firm SHoP Architects is hopping on the coworking train with a commission to design and renovate 335 Madison Avenue into the new home for Company, a vertical tech campus that combines working spaces and lifestyle facilities. 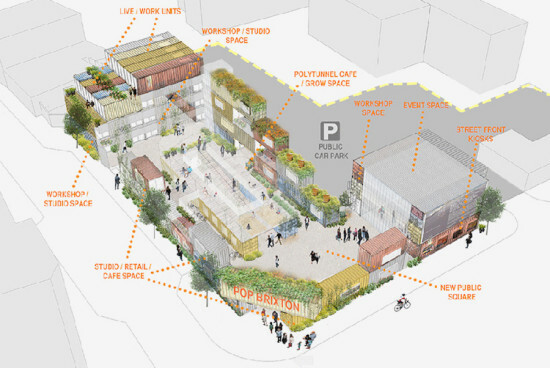 Within the 350,000-square-foot space, Company will house “a curated community of top-tier companies that spans the innovation spectrum from venture-backed startups to large enterprises,” according to Company's description of the project. Company’s office building is located next to Grand Central Station in Midtown Manhattan. 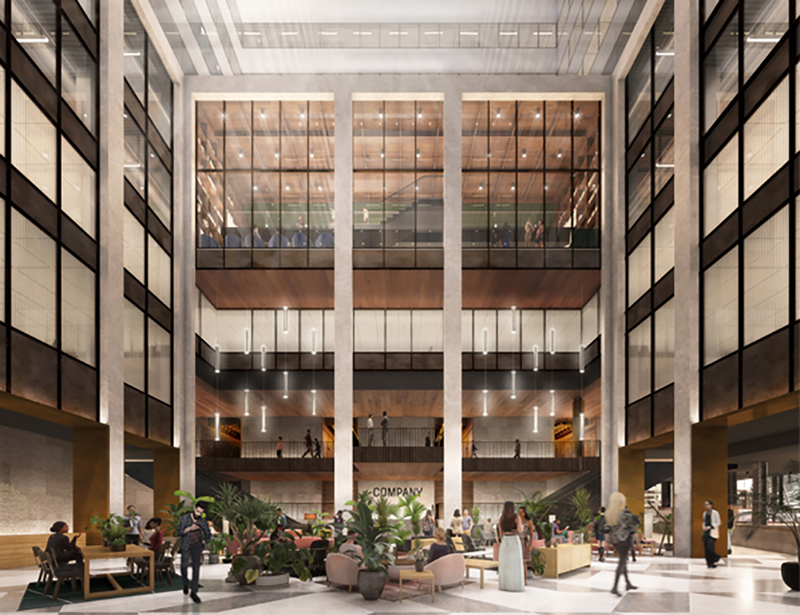 SHoP has recently unveiled a series of interior renderings that showcase the firm’s plan to renovate the atrium lobby and office floors of the building. 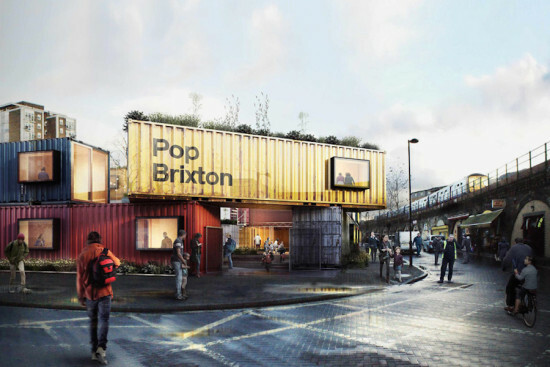 They will also design supporting amenity spaces. 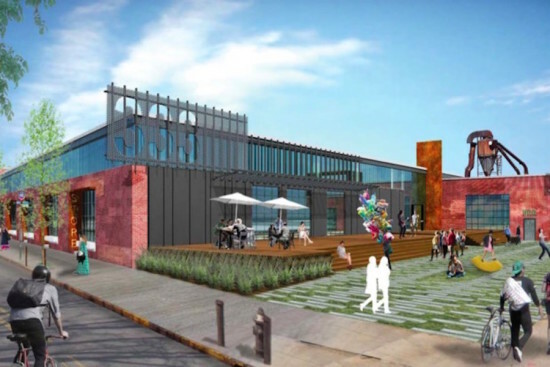 The new spaces include “a bar, multiple dining venues, several event spaces, a two-story glass enclosed library, a wellness center and a gym, and a terrace.” The location will also create ample networking opportunities for the tenants of the building. 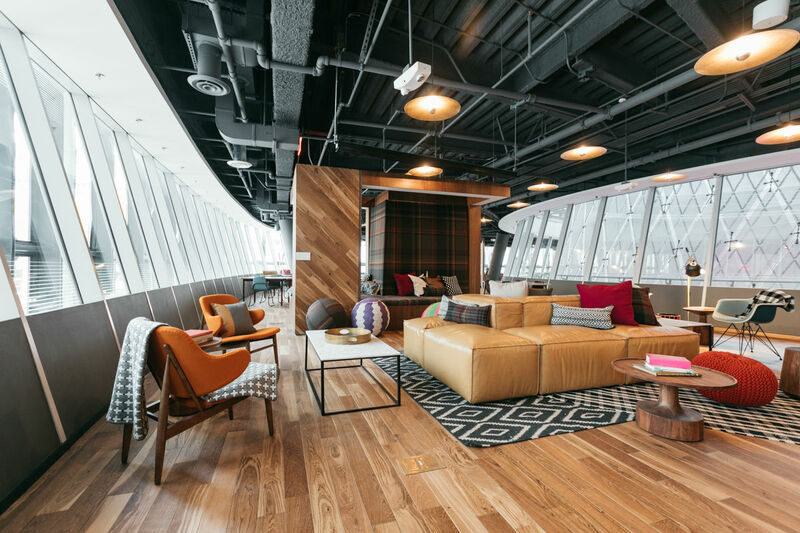 The startup offices on the lower floors are furnished with “meeting rooms, phone rooms and breakout spaces optimized for productivity,” according to a statement from Company. Those offices range from 2,000 to 12,000 square feet. The enterprise offices will take up the upper floors of the 29-story building with open floor plans. 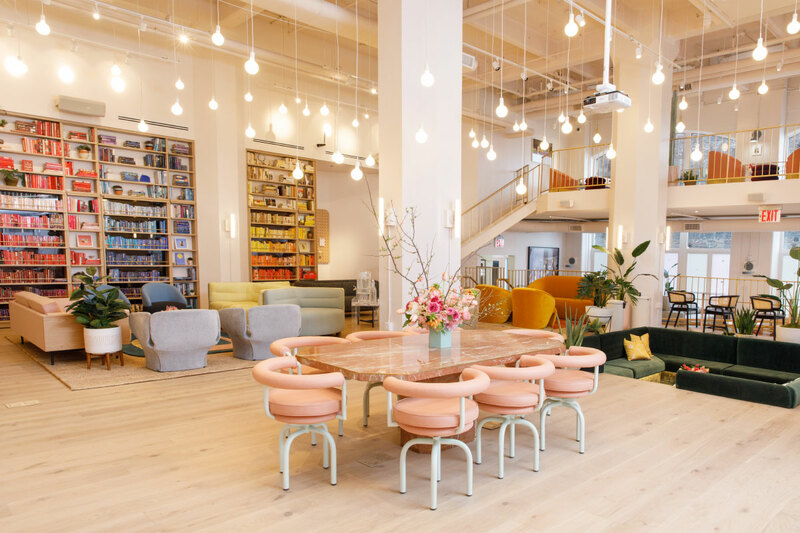 Co-working network The Wing has opened the doors of its DUMBO, Brooklyn location, the first outside of Manhattan, and members can expect to find the company’s signature pastel pink hues, color-coordinated bookshelves, and eclectic mix of materials in play here as well. Founded in 2016 by Audrey Gelman and Lauren Kassan, The Wing was envisioned as a series of members-only co-working and social clubs for women, and quickly hit $42 million in investments. 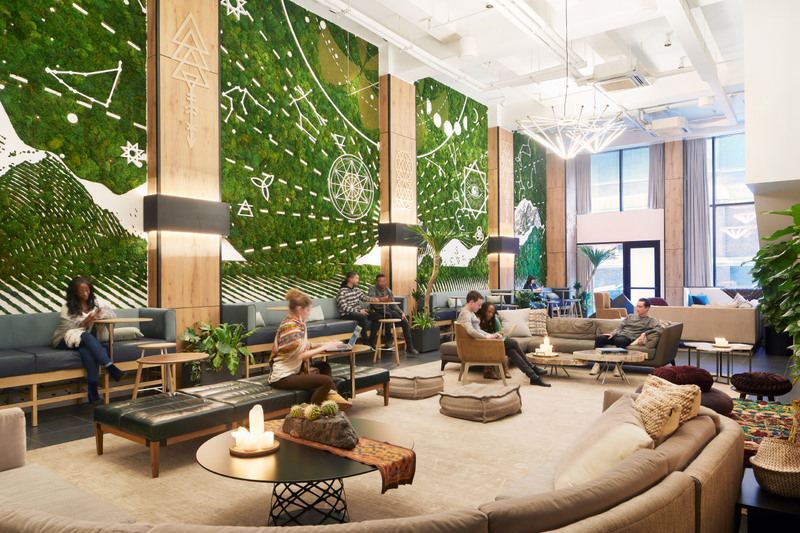 While The Wing only opened its first office in October 2016 in the Flatiron neighborhood, the company has been eyeing a rapid expansion, especially after competing co-working company WeWork contributed to its latest funding round. 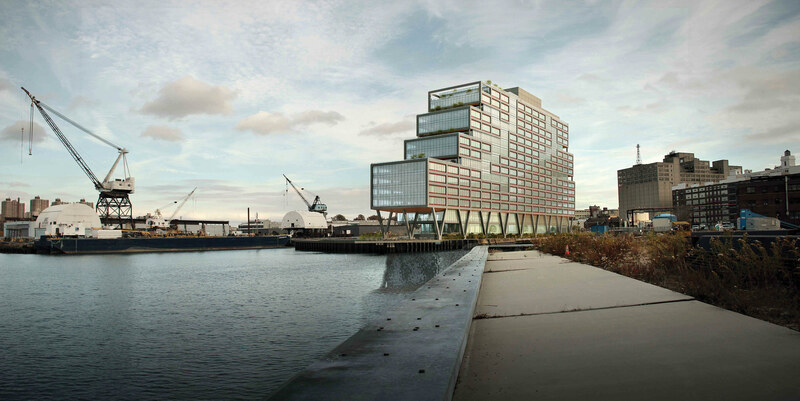 “Expanding to Brooklyn was a no-brainer for The Wing,” said Gelman in a statement sent to AN. “A third of The Wing’s current members call Brooklyn home, and it is consistently one of the most requested locations. 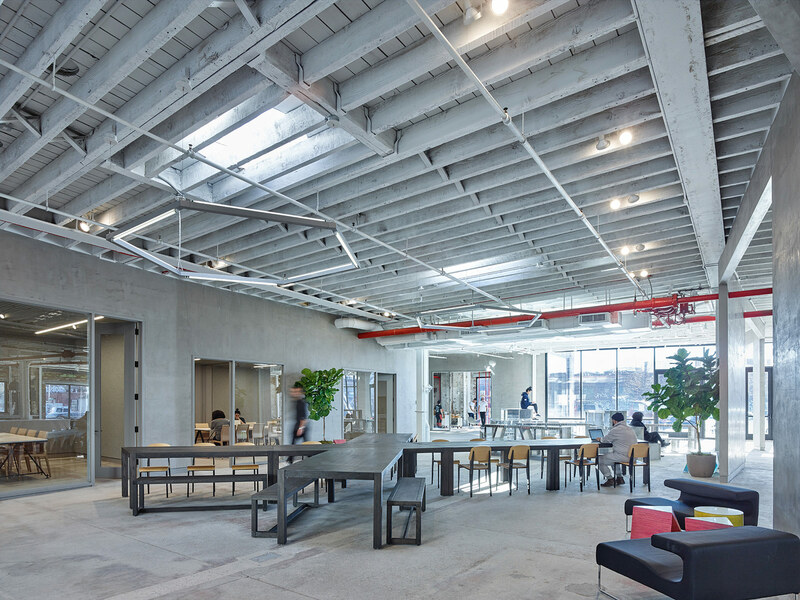 We are excited to welcome new women into The Wing’s community and continue the company’s growth.” The Brooklyn branch is housed at 1 Main Street, the neighborhood’s former tape factory and home of the notorious Clock Tower penthouse. Keeping true to the building’s industrial past, architect Alda Ly and interior designer Chiara de Rege have stripped the ground floor space to its bare bones and left the columns, beams and ductwork exposed, and poured pink concrete for a distinctive flourish. The former factory also provided space for a double-height central atrium, and the duo used the opportunity to carve out a second-level balcony space. 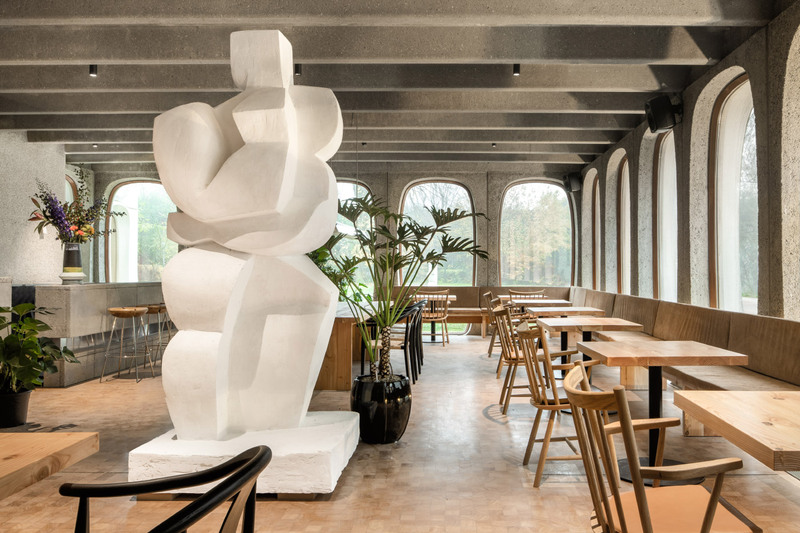 De Rege has said that utility and beauty don’t always go hand-in-hand, but despite being completely open, The Wing DUMBO uses the seemingly-eclectic interior finishes to break up the club’s different areas. While a pink granite dining table in the atrium draws attention as a central meeting place, the green velvet of the nearby conversation pit easily separates it from the subdued palette of the rest of the space. Color was a major component of the design, and the blues, golds and pinks set the plush interiors apart from the stoic wood-and-glass aesthetic of The Wing’s competitors. The café areas are marked by their thinner, more finely detailed chairs and pedestal tables, but the color-coded library is instantly recognizable as such by the assortment of plush and rounded couches. That lending library, curated in partnership with New York’s Strand Bookstore, contains over 2,000 books by women authors, and each bookshelf swings open to reveal soundproof phone booths. The partnerships don’t stop with The Strand. All of the featured art is curated by and features solely local women artists, The Wing’s café and bar, The Perch, serves food from women-owned partners, and copies of No Man’s Land, an-house magazine launched last fall, are available throughout. A podcast room, vintage photo booth, meditation room and shower are all open for members, but The Wing has opened its reception and retail sections on the ground floor to the public. 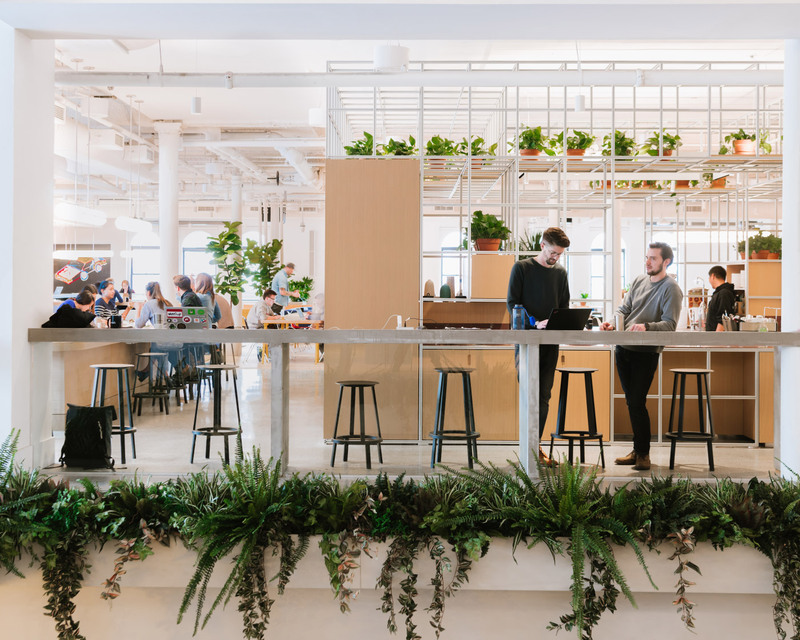 The DUMBO office might have opened on February 26th, but if you want to join, you’ll have to wait your turn; the waitlist to become a member is at 13,000 names and growing. The company's fourth location will be opening in Washington, D.C. sometime this spring.